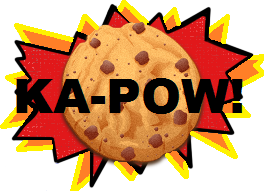 Another Forensics Blog: Safari Binary Cookies - Now with more parsing power! Safari Binary Cookies - Now with more parsing power! Safari stores cookies in a file called Cookies.binarycookies under the location ~/Library/Cookies/Cookies.binarycookies. In earlier versions of Safari, cookies were stored in a plist file which could be easily read in a plist editor. However, the newer binarycookies file format - not so much. Several people have already done a fantastic job of breaking down the file format and writing scripts to parse these cookies. If Perl is your flavor, check out these handy tools from Jake Cunningham. If you love Python, the script from Satishb3 does a great job of parsing the information. While both of the above scripts do a fantastic job of parsing and presenting the information for the Cookies.binarycookies file, I wanted a way to parse a directory full of these binarycookies as well as the Google Analytic values from the cookies. The awesome thing about open source is the ability to not only learn by looking at someone else's code, but to build on top of what they have done and create or tailor something for what you need (then hopefully turn around and share it again with others). When I was reviewing the Satishb3 python script, I did not see a specific licensing agreement distributed with the code. I reached out to Satishb3 for permission to reuse his code and luckily for me, he graciously wrote back granting me permission. -f is the binary cookie filename, -o is the output file, -t means TLN output, -H is the Host (optional) and -u is the username (optional) . Download the bc_parser python script. Thanks for the feedback. It looks like there may be a non-standard time format in the utmz field - its hard to tell without the actual Cookies.binarycookies data your using. I will fix the code to skip over that line in your file. Or, if you can send me the Cookies.binarycookies file I can see if I can add in code to parse it correctly. Check back in a day or so and I'll have an updated version. It turns out some domain hashes in the Google Analytic values included a extra period "." in them which threw the script off. I appreciate the feedback. If your running into problems, please let me know and I'll be happy to take a look. I tested the script on Python 2.6.4. so that may be part of the problem. This error pops up when it runs into a time it can't convert. Normally it would print a URL and the cookie value so you might be able to see why it's throwing the error, but I think this print statement doesn't works in Python 3. Are you able to email me the test data, or run it on Python 2 get more information about the error? You can email me at arizona4n6 at gmail.com. I am a Cyber Security professional specializing in Digital Forensics and Incident Response. I also enjoy Raspberry Pi projects and playing poker. Follow me on twitter @maridegrazia. Opinions are my own and not the views of my employer.